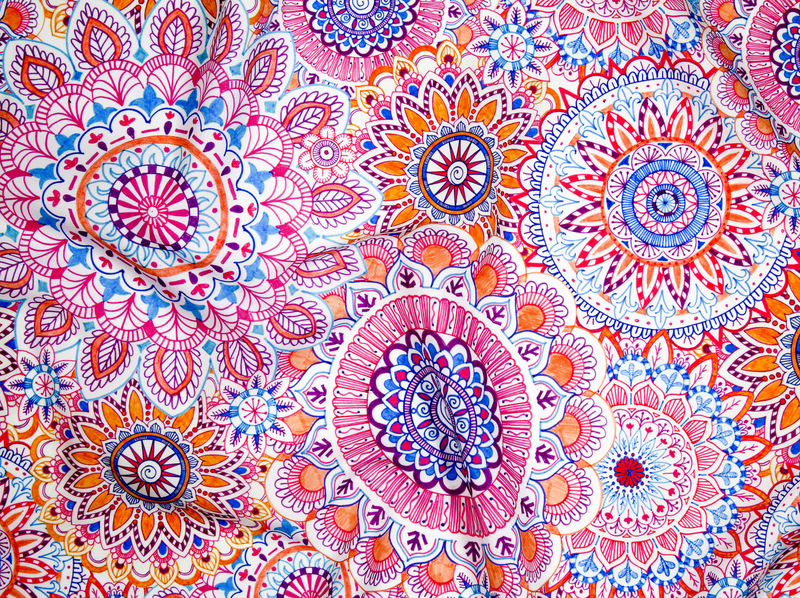 Mandala Daze by Julistyle is the winner of our Design Challenge this week! 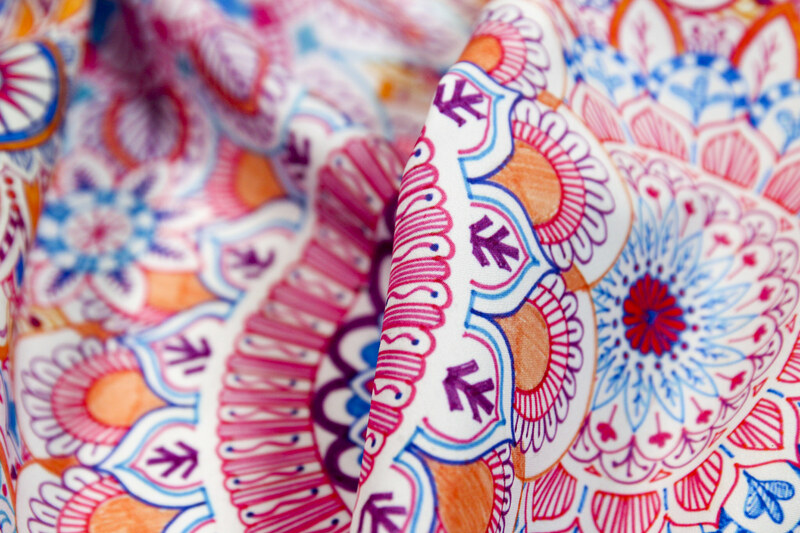 In Sanskrit, the word “mandala” simply means circle. It is known as a spiritual symbol in Hinduism and Buddhism, representing the universe. One of the most well known examples is the sand Mandala – a Tibetan Buddhist tradition involving the creation and destruction of mandalas made from colored sand. This week’s winner, Julie Goonan of Julistyle captured the colorful joy and spirit of mandalas beautifully with her Mandala Daze design, which took home first place! Julie will receive $200 in Spoonflower credit. The 2nd place winner, Svetlana Prikhenko will receive $100 in Spoondollars, and the 3rd place winner, thirdhalfstudios will receive $50 in Spoondollars. The rest of the top 10 winners will receive $20 in Spoonflower credit, and all of the top 25 have been made for sale automatically. See and shop all of the top 10 here.